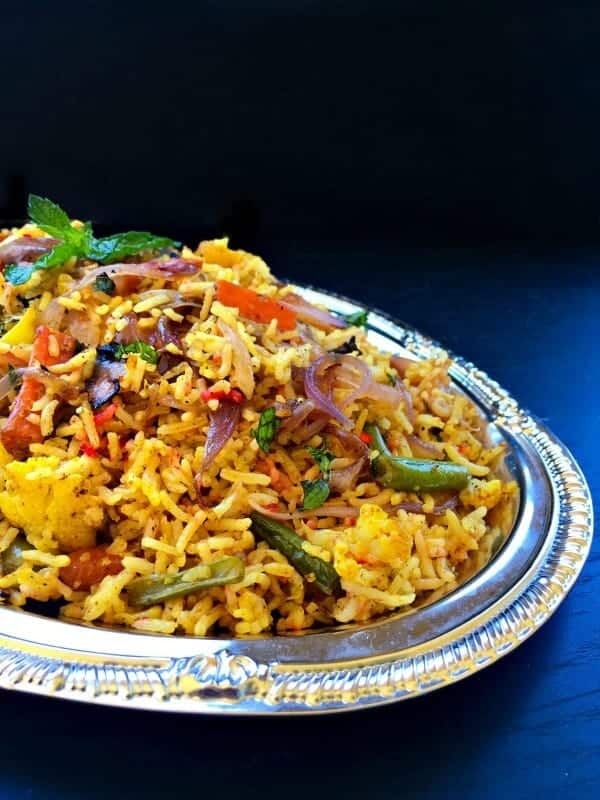 How To Make Quick Restaurant Style Vegetable Biryani: mouthwatering, flavorful and rustic vegetable biryani recipe that’s cooked to perfection in the comfort of your home using rice, vegetables, Indian spices and yogurt. 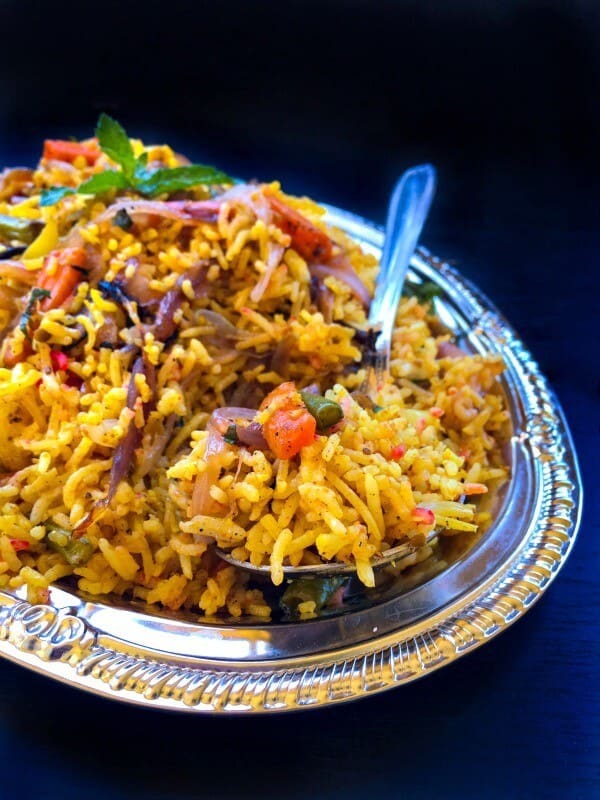 Do you crave biryani every now n then or simply visit an Indian restaurant just to devour one? All from the comfort of your home and absolutely fingerlicking ! 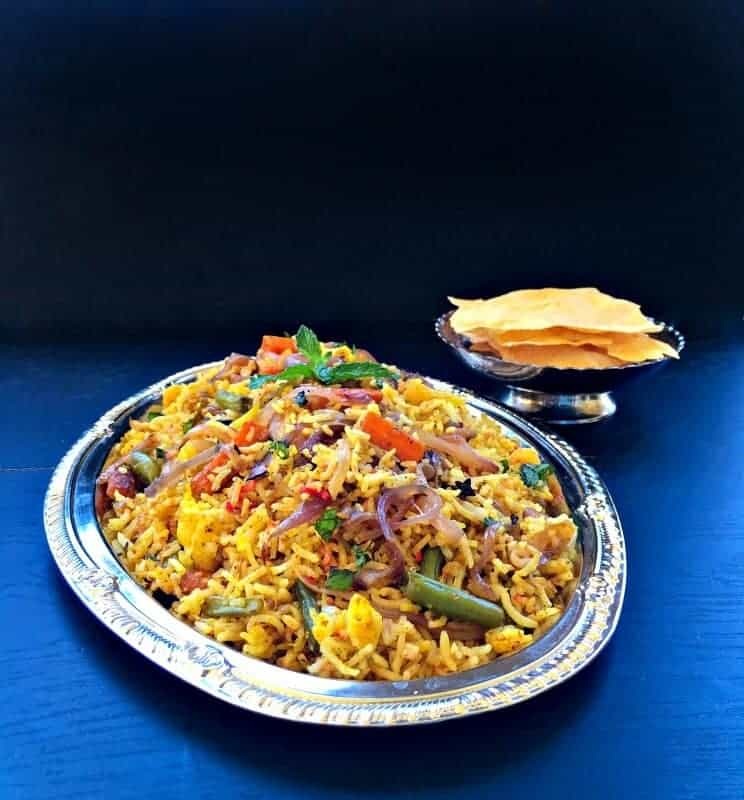 Biryani is one such recipe that wins our vote every time, be it a restaurant, party and especially weddings, if there is biryani on the menu, you’ll see it on our plate. And boy, we have eaten all sorts …. some good, some not so good and some absolutely mind-boggling ones (in a good way 😉. 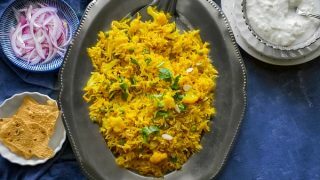 So this weekend, I decided – why not share a How to Make Quick Restaurant Style Vegetable Biryani method with you’ll. Before we go ahead, do you know what Biryani actually stands for? 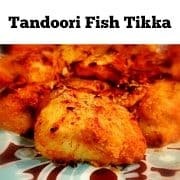 It’s derived from a Persian word called ‘Birian’ which means ‘fried before cooking’ – yep you heard it right. The rice was infact fried in ghee (brown butter) and then boiled in water with all the spices and seasoning. I’m sure with every generation/household/countries, the recipe changed and these days we simply boil the rice with spices minus the ghee. I think the only thing we still haven’t changed is the use of Basmati or long grain rice. As mentioned above, most of the biryani’s are cooked in Basmati rice also known as ‘long grain rice’. Once cooked, it doesn’t become sticky and you can see every single grain of rice doubles in size. Also, add a few strands of saffron for taste and hue of golden yellow color. Once the rice is cooked, we drain any excess water and keep it aside. This is where you can have tons of customization as you can add/substitute or completely remove any vegetable or spices. You might have noticed in a vegetable restaurant biryani, the default vegetables are ‘carrots, green beans, cauliflower, onions, few herbs‘ and nowadays, I’ve even seen potatoes being added. So gather all your favorite vegetables, spices, ghee, nuts, yogurt and cook everything together to form a thick gravy vegetable. This is the easiest part of the biryani or the fun part where we just layer the cooked rice and vegetables on top of each other and always end with a layer of rice on top. Once we have reached that final rice layer, we sprinkle some cooked onions, mint leaves (trust me, it gives so much flavor n that distinct aroma) and drizzles some desi ghee (brown butter). a. You can bake the biryani for 10 minutes. b. Microwave on high for 3 minutes. This last part helps the rice, veggies, and spices absorb the aroma all in itself and as soon as you open the cover/foil, you’ll be tempted to dig in!! 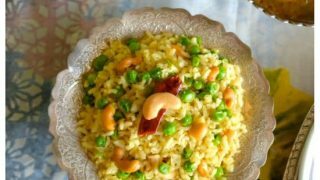 Just wait for the last step and that is to mix or fluff everything lightly so that the rice mixes with the vegetable and serve fresh. 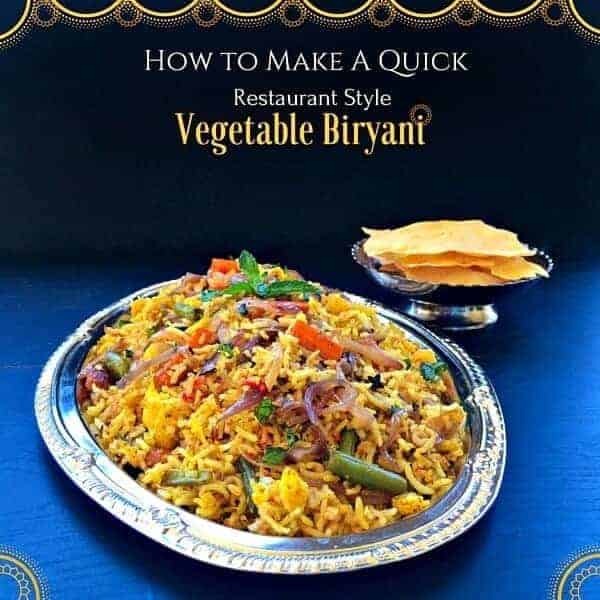 So that my friends, that’s exactly How You Make Quick Restaurant Style Vegetable Biryani. If you’re vegan, you can substitute ghee with more olive oil or a little bit of coconut oil and yogurt with a vegan yogurt option. 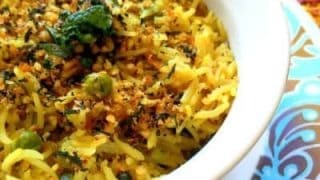 I’ve been making vegetable biryani for ages and I’ve perfected this recipe after many hit n trials. 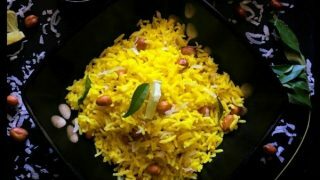 This How To Make Quick Restaurant Style Vegetable Biryani, is my MOST requested recipe and till date, it was only with me. But today I’m sharing it with all of you and hope you and your loved ones enjoy it as much as we do. 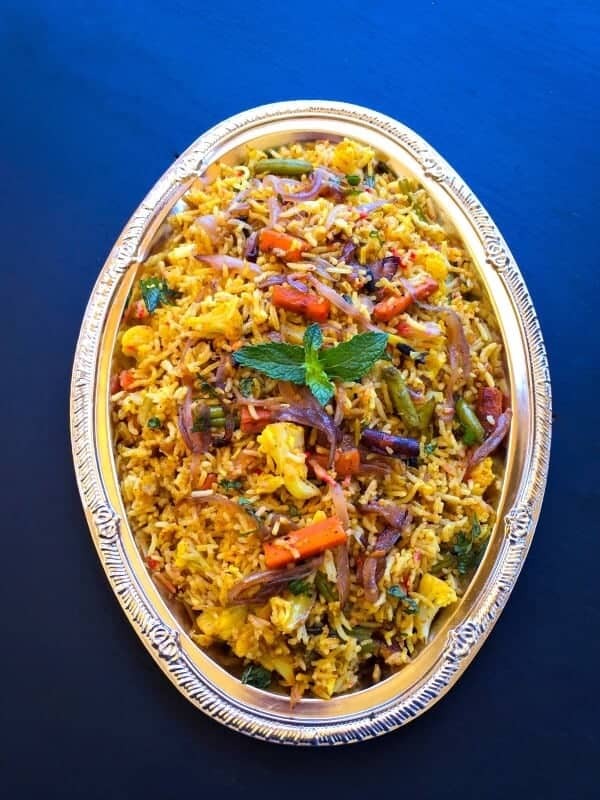 Although vegetable biryani doesn’t need many options to serve with apart from the regular raita (yogurt dip). As always, I Looove when you try my recipes and send me pictures & feedback. 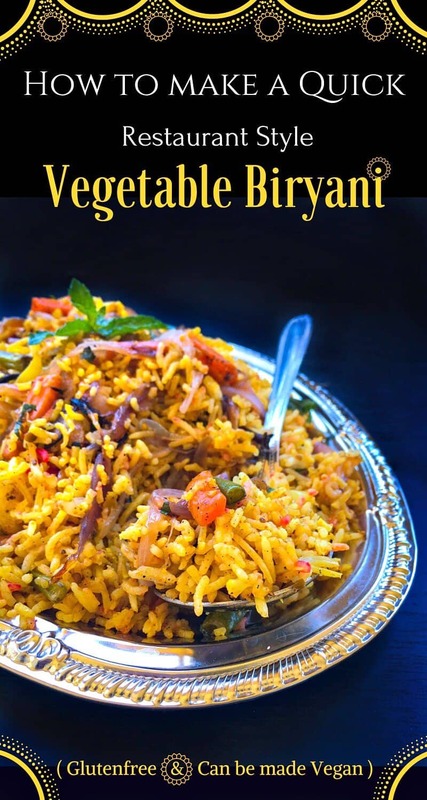 How To Make Quick Restaurant Style Vegetable Biryani: mouthwatering, flavorful and rustic vegetable biryani recipe that's cooked to perfection in the comfort of your home using rice, vegetables, Indian spices and yogurt. In a large pot, add water, rice, turmeric, cloves and place on burner on high heat. Let this boil on high heat for 2 minutes, then reduce the heat to low and cook for 15 minutes. In a small bowl, heat 3 tbsp oil and add the saffron strands, keep aside. Check rice after 15 minutes, it should have cooked 90% hence turn off the heat. Strain the rice of water and keep aside. Add the saffron mixture and fluff the rice (to evenly mix saffron). In a large non-stick pan, heat 1/4 cup oil + 1 tbsp ghee. Add onions and saute till they are cooked and light golden in color. In the same pan, add the remaining oil + 1 tbsp ghee. Add bay leaf, cinnamon stick, cloves, black cardamom, green cardamom and saute for a minute. Add ginger + garlic paste and saute on medium heat till they turn golden in color (about 2 minutes). Add carrots, beans, cauliflower and saute for a minute. Add turmeric, salt, coriander powder, cumin powder, garam masala, red chili powder and saute everything together. Cover and cook this mixture for 5 minutes on low heat. Add yogurt, cashew powder, water, mint leaves and cover cook for another 5 minutes. Once the vegetables are cooked, turn off the heat. Take a deep (microwave safe) serving dish, place 2 ladles of cooked rice, top with a thin layer of cooked veggies, add 2 tbsp of onions. Layer 2 ladles of rice, veggies and onions again. Repeat the process till you reach the top of the dish and the topmost layer should be just rice. Sprinkle some mint leaves, cooked onions, 2 tbsp ghee and cover the dish. Place the dish in microwave and heat on high for 3 minutes. Remove from microwave, using a big fork, fluff the rice (scoop and mix the rice and veggie layer). 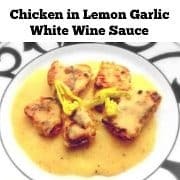 I'm a Food Blogger/ Recipe Developer/ Brand Ambassador/ Food Photographer and have been cooking for over 15+yrs. 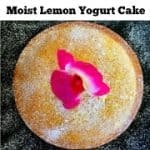 My recipes have been published in Yahoo, MSN, Better Home & Garden, BuzzFeed, Huffington Post along with many food brands. 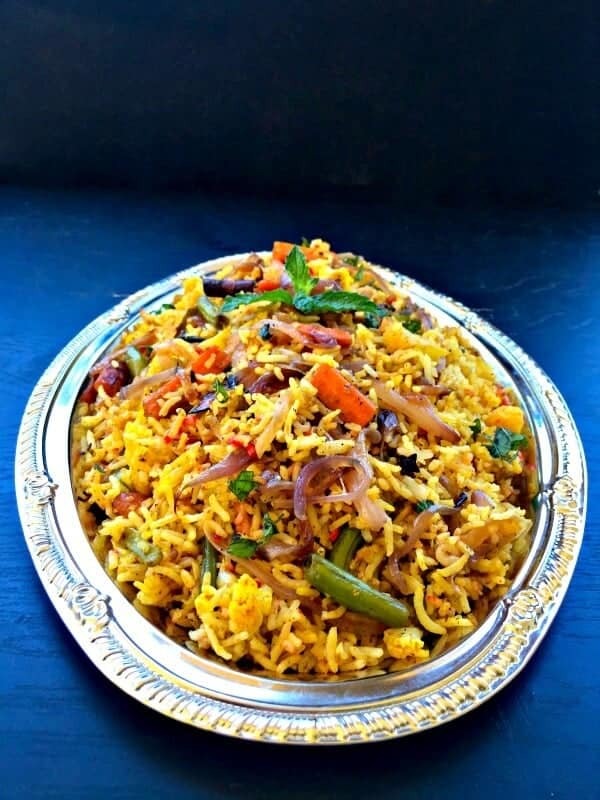 16 Replies to "How To Make Quick Restaurant Style Vegetable Biryani"
Just made it and enjoyed! It was delicious! I didn’t use mint thougt. I have added curry leaves and chilies to fryd with the other spices at the beggining. And I used brown basmati rice. Oh wow I cannot wait to try this!! I was just wondering if you remove the whole spices before serving it (bay leaf, cardamom, cinnamon stick) or it’s ok to leave them in? Hi Lori, I’m so happy you liked the recipe and going to try it soon 🙂 I usually leave the spices in their as you could hardly feel their presence among all the veggies and rice however, you can remove the bay leaf or any visible husk/cover of any spice. Thanks for visiting. 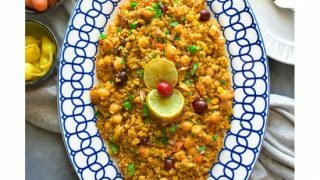 Hi Priscills, Thanks for writing in and yes, you can bake the biryani at 180c for 10 minutes (since the biryani and veggies are already cooked, we just want the mixture to settle in and soak up juices and aroma). 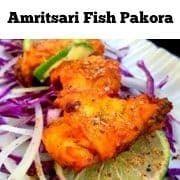 Your pictures of the biryani made me extremely hungry. I want to eat ALL of it, guilt free is possible. I love Biryani and your version looks so light and delicious! 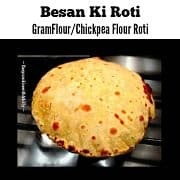 A good idea to make it with veg! 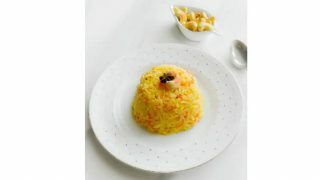 Loving the vibrant colours of your vegetable biryani dish – looks beautiful! Mmmm I am loving the sound of this! So many vibrant colours and flavours! What a colorful dish! I love it when my food is so full of color. It just tastes better with all that diversity. So many flavors and veggies happening here, I’m sure it’s delicious!